Dr. Urvater has been a Rockland County resident since 1994. She graduated with honors from New York University in 1988. She continued to advance her educational background, receiving her Doctorate of Physical Therapy from Utica College in 2012 with a 4.0 GPA. Although beginning her career working at NYU Medical Center/Rusk Institute treating a wide variety of orthopedic and neurological cases, she has focused the majority of her career in orthopedics and sports medicine with a strong manual therapy base. She treats all aspects of orthopedic injuries and post operative conditions with the most updated evidence based approach that returns patients to their maximal functional ability while keeping patient goals a top priority. She incorporates a wellness approach to her treatments that obtain excellent functional outcomes. She has taken numerous continuing education courses with the added emphasis on shoulder, knee and spine conditions instructed from well-known leaders in the field of physical therapy. Her special interest lies in injuries to the overhead athlete. Her previous athletic participation has enabled her to have great insight into injuries pertaining to softball, baseball, tennis and swimming. She has developed a comprehensive program for patients who have undergone bariatric surgery, ensuring continued weight loss and improvements in overall general conditioning. 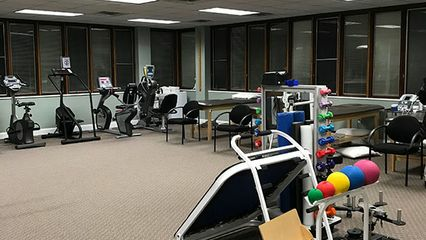 She has incorporated regenerative and myofascial therapy interventions through her training and credentialing as a Graston Technique Specialist. With 30 years of experience, Dr. Urvater has led a team of PTs, both supervising and mentoring recent graduates as well as those practicing for several years. She has been an active member of the American Physical Therapy Association since 1989. She is an APTA Credentialed Clinical Instructor and is APTA Board Certified as an Orthopedic Clinical Specialist.